Margaret Mitchell was as complex and compelling as her legendary heroine, Scarlett O'Hara, and her story is as dramatic as anything out of her own imagination. Indeed, it is the basis for the legend she created. Gone with the Wind took the American public by storm and went on to become one of the most popular books and motion pictures of all time. The book was a phenomenon whose success has never been equaled, but it shattered Margaret Mitchell's private life. 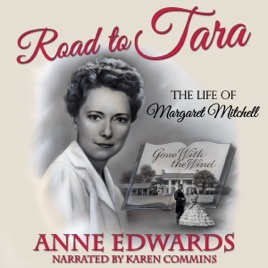 In Road to Tara, Anne Edwards tells the real story of Margaret Mitchell and the extraordinary novel that has become part of our heritage.